The Truth About Proposition 37—Labeling Genetically Engineered Foods | Healthy Eating Rocks! I knew the battle over prop 37 would be heated, tough, and ugly. But I was not expecting biotech companies and food manufacturers to stoop as low as they have and spend a million dollars a day doing so. We’ve all heard the saying, “money talks.” In the case against prop 37, money not only talks, it also lies. Here is the truth about the false claims and inaccuracies surrounding prop 37. The truth is we will probably see no change in the cost of food just as they saw no increase in the cost of food in the European Union (EU) when they labeled genetically engineered foods. David Byrne, the former commissioner for health and consumer protection for the EU, said that labeling genetically engineered foods in Europe “did not result in increased costs, despite the horrifying (double-digit) prediction of some interests.” Additionally, when food manufacturers in the U.S. were forced to label trans fats in 2008, we saw no increase in food costs. Thus, there is no reason why we would have an increase in food costs from labeling genetically engineered foods under this proposition. For more information, see here. Prop. 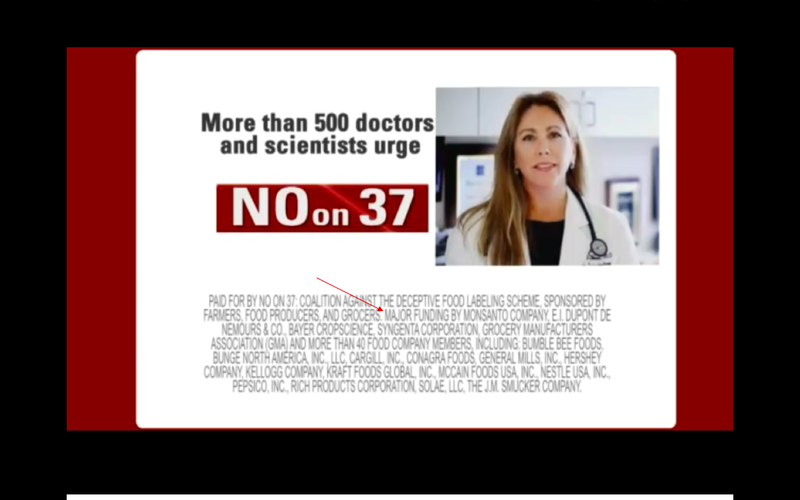 37 is simple, it labels genetically engineered foods that are sold in the grocery stores. California law only allows one issue to be addressed by ballot propositions so the food in grocery stores was chosen since it is what people eat the most. Prop 37 only covers foods that are genetically engineered and not animals that eat genetically engineered foods. This explains why dog food would have a label, since it is made with genetically engineered corn, but beef would not since it is not genetically engineered. It is the same issue with soy milk, which would be labeled because soy is genetically engineered, but milk is not. For more information, see here. 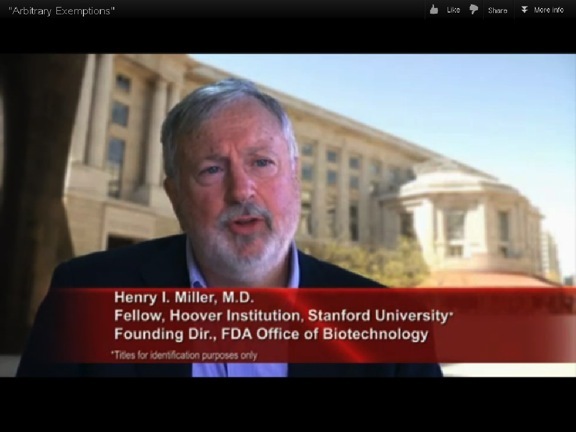 Additionally, Dr. Henry I. Miller, who is featured in the commercial about exemptions, does not work at Stanford University. Rather, he is a fellow at the Hoover Institution, which sits on the Stanford campus, but is not a part of the university. Dr. Miller is a long-time front man for big tobacco and big oil, has called for the reintroduction of DDT, and even stated that the people around the Fukushima nuclear power plant disaster “may have benefited from it.” The bottom line is he has zero credibility. Actually, it was written to provide no economic incentives for lawyers to sue. Prop 37 does not give any penalties from labeling violations to consumers or lawyers, unlike prop 65, which gives 25 percent of civil damages to the plaintiff. The person legally responsible for putting the label on a food item is the manufacturer, not the farmer and not the grocery store owner. For more information, see here. In fact, there are a lot of unknowns about the safety of genetically engineered foods. There are some animal studies with negative findings. Both the World Health Organization and the American Medical Association state that GMOs should undergo mandatory safety testing. Even the 2012 American Cancer Societies Guidelines on Nutrition and Physical Activity says, “…long-term health effects are unknown.” Until we know more, shouldn’t they be labeled? For more information, see here. In addition, most of the newspapers that say “no on 37” are owned by the same company called MediaNews. Alden Global Capital, a hedge fund firm, has a large stake in the company. Alden’s parent company is Smith Management LLC, a privately owned investment manager. It sounds like their interest is Monsanto and other traded companies and not our right to know what’s in our food! See here for more information. Over 50 countries around the world label genetically engineered foods. Some have banned them. The only reason they aren’t labeled in the U.S. is that companies that make genetically modified seeds, chemicals, and junk food don’t want you to know what you are eating. Prop 37 would put an end to that, but we need your help. Please vote YES on prop 37! We can win against these big corporations. While we don’t have a lot of money, we do have the power of the people. That means you! Please do what you can to get the correct information out and share this article with everyone you know in California. Thank you! This entry was posted in Genetically Modified Foods, Most Popular Posts and tagged foods that are gmo, genetically engineered food, genetically engineered foods, genetically modified foods, gmo crops, gmo food, GMOs, gmos in foods, no on 37, Proposition 37, the truth about prop 37, truths vs. myths about prop 37 by Carole Bartolotto, MA, RD. Bookmark the permalink. Great article Carole, it informs the voter with real facts and the truth regarding Prop 37 The Right To Know what’s In Our Food! We the people, deserve to have the truth about what’s happening to our food, and not be at the mercy of unethical Bio-tech and Junk food corporations!! This article will help people who are uninformed to do the right thing for the right reason…Vote (yes On Prop 37!) help create a better world! Thank you Sandra! Yes I hope this does help counter all the lies and negative ads. Please pass it on!! Thanks Dr. Lippman. I hope it helps prop 37 pass!! Thank you Kathy and Ken! And thanks for your help sharing the truth about prop 37 ! Carole, How can I get a copy of this? I want to print out and take next door to neighbors. It’s time to put the keyboard down and get out there in what ever way we can. We must not let this issue be defeated — especially from ignorance or lies! Thank you Kathy and Ken for all you are doing. Please check your email. Call me naive, but I continue to be shocked by all the lies these companies are bombarding the public with. The good news is the cat is out of the bag! Now most Californians know they been eating genetically engineered foods. We know people don’t want to eat these foods and I am going to continue in my efforts to help people avoid them. 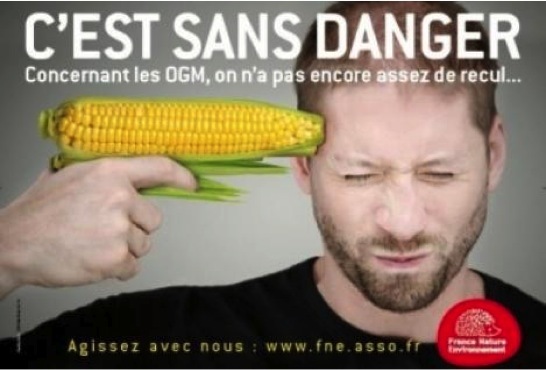 Thank you so very much for all this information on GMO’s. It is written clearly, simply and shows the LOGICAL REAL FACTS of all these companies that want to control the population like sheep. We must not forget our most resourceful source – Clean Clear WATER. I am emailing everyone I know and hope I can get this information out to as many people as I can. I did put a sign on my back window of my car VOTE YES for Labeling and mentioned some wed-sites. If you have any more ideals let me know. Pam Hartman We are winners!!!!!!!!! Thank you Pam!! I am at an event right now passing out flyers. Please share this info with everyone you know!! Call everyone in your phones contact list, talk to neighbors, family, friends, everyone! Hi.. Met you at Dia de Los Muertos today and told you voting against this prop. I have now changed my mind after reading a bit more and you can feel better that your convictions changed at least one vote today. Yay! Thank you so much for being willing to learn more about this prop. You are awesome! Your rebuttals to the opposition’s false claims are so clear and concisely written along with pertinent links to more info. I’m glad you took the time to write and post this during a critical time for the CA Right To Know campaign! Thank you so much Lori! I think our efforts did make a difference and I am sure we will prevail in the end! Pingback: Is the Academy of Nutrition and Dietetics Committed to Telling Americans the Truth About What They Are Eating? | Healthy Eating Rocks!